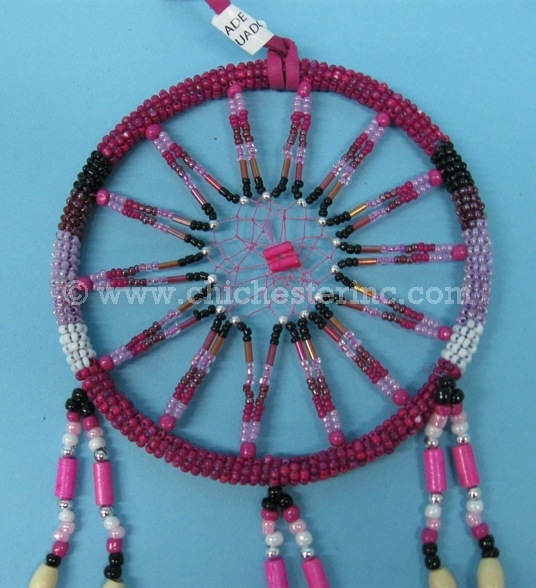 Beaded Dreamcatchers: 2", 3", 4", and 6.5". 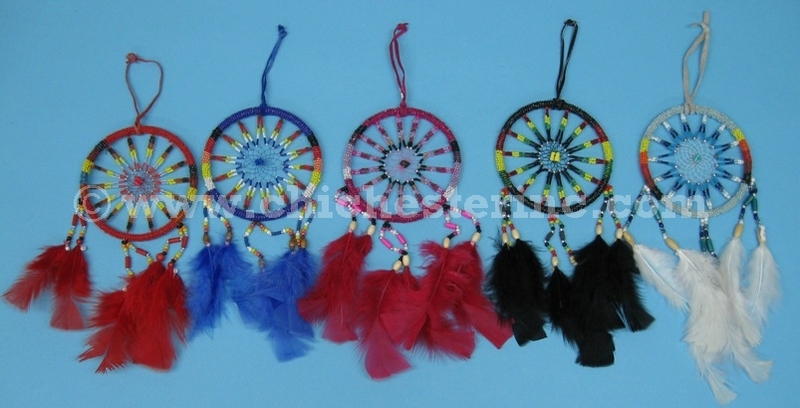 These beaded dreamcatchers are made by the Quichua of Ecuador. 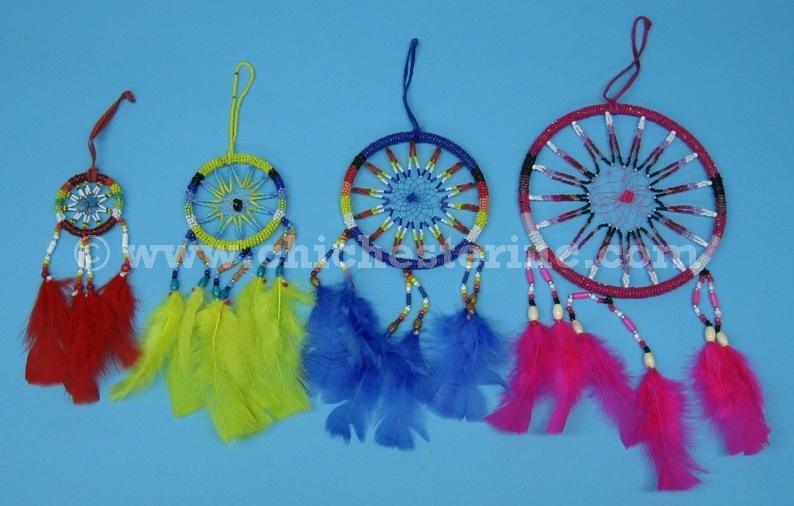 They are made using glass and/or plastic beads, chicken feathers, and a calf suede strap. They are available in a variety of sizes and colors. Cows and chickens are not an endangered species and are not subject to CITES controls. The metal ring is 2" wide. 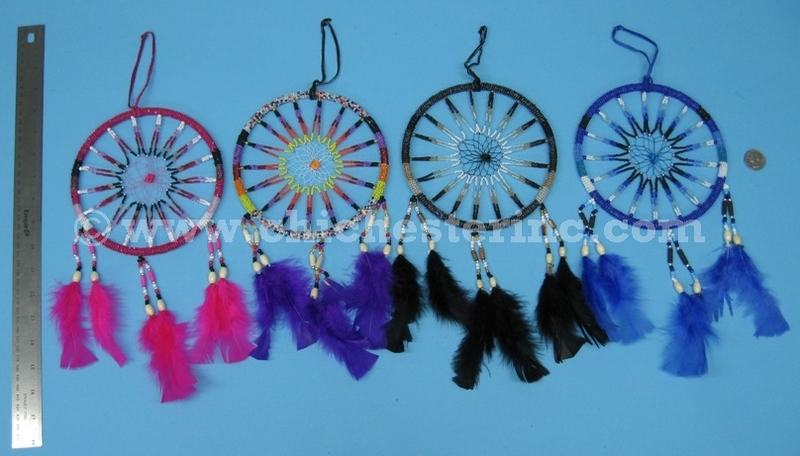 The overall length of the dreamcatcher is 10" long. Each weighs 0.04 lbs. See a close up view. The metal ring is 3" wide. 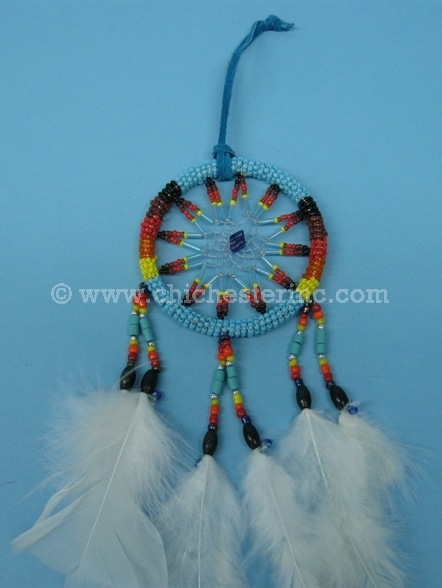 The overall length of the dreamcatcher is 11-12" long. Each weighs 0.04 lbs. The metal ring is 4" wide. 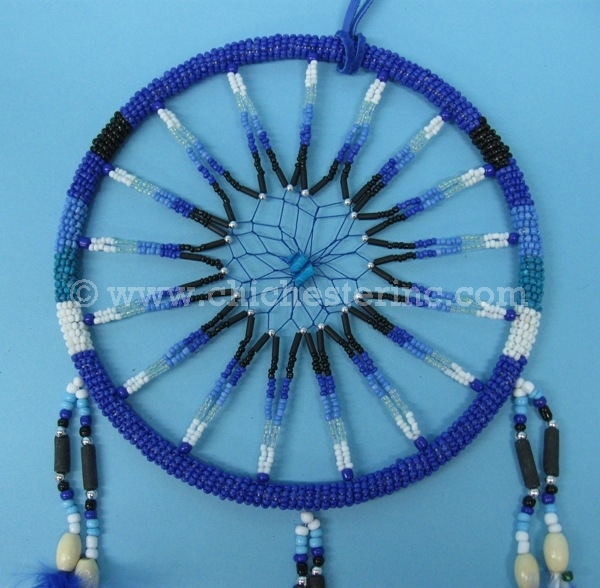 The overall length of the dreamcatcher is 12-13" long. Each weighs 0.08 lbs. 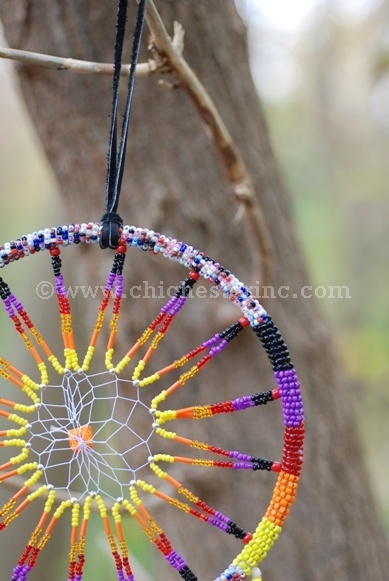 The metal ring is 6.5" wide. 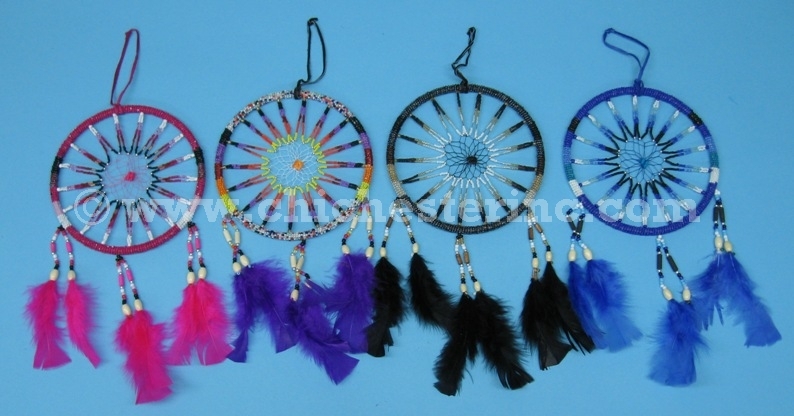 The overall length of the dreamcatcher is 15-16" long. Each weighs 0.12 lbs.